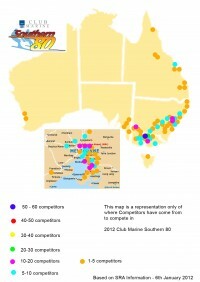 Well there are 2 weeks to go to the biggest ski race in the world- the 2012 Club Marine Southern 80 February 10th – 12th. People from all around Australia travel to Echuca / Moama to participate in the Southern 80, one of the prestigious events on the ski race calendar. The first boats on the water, at 8:30am on Saturday are the social boats. This will see Sportspage be the first boat from Torrumbarry in the Unlimited Inboard class. They are favourites to win this class. The Unlimited Outboard class and Twisted from Queensland will be leading the way from the new boat, Optimus Prime, which will keep them honest. 5.2 and 6L will see Bandit first away and then 2 Leg Boats will be hot on their heels. SMOC and Sonic Boats, Alien Force and Bustin Out are the first 3 boats away. Stock 6 Litre social, the smallest class of the weekend, will see Hollow Point, Team Clog, Wasted Nights and Rocket race for the podium. Open Women’s Revival and Pigs Arsenal are the lead boats. Saintn and No Fear lead the field in the 200HP Outboard class. Saturday afternoon races and Veterans are on the water at 12 noon, with Syndicate leading the way. This year they promise no aerial acrobatics and are towing Danny Cropper and Kevin Vahtrik. The current record holders in Senior Social are Revival with Darren Purdon and Stuart Cox skiing they will lead the 18 boats in this class on the water. Junior Social and Rush towing, Shantelle King and Jack Harrison lead the class. Sub Junior Social, the Under 13 skiers and Labdance and Coldys are the first teams away in this class. 70 mph Social, Supa Duck and Pumped Up lead the field. 60 mph social is the biggest class for the event and with 42 entries it will be closely contested. Disabled – there are 6 competitors. Wade Bennett will be a favourite to win but they are all superstars. Tadpoles are the kiddies under 10. This year there are 4 sets of siblings; Kayne and Bryce Horne, Jaymi and Jack Clancy, Megan and Archer Hammond and Matilda and Lucy Proctor. Great to see the future of ski racing is looking strong. Bakers Blitz and last year’s winner Hellrazor will race down the river at 3:30pm. The Presidents Dash will see Agitator lead the way. 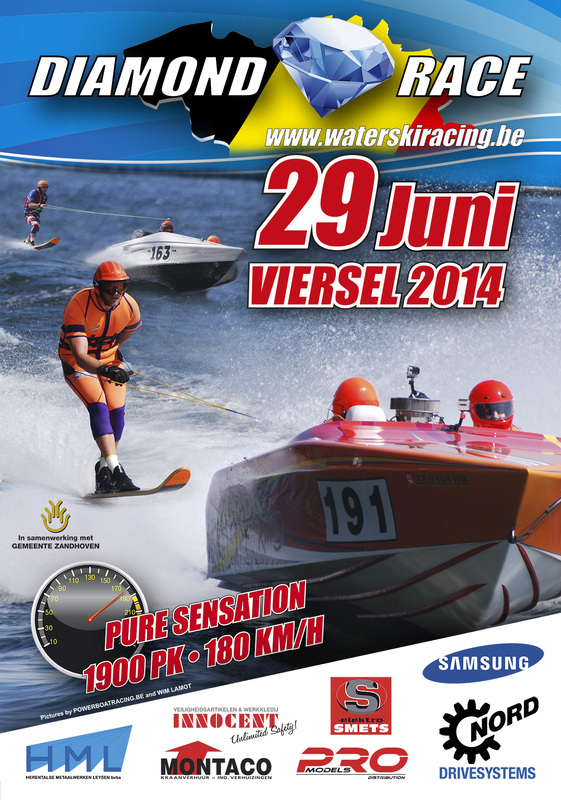 Presentation of Saturday’s events will be at the conclusion of the races. Best spot to catch all the entertainment is at the finish line at Victoria Park. A weekend pass is $30. Available at the gate on the weekend or online now at www.southern80.com.au . Sunday the action hots up again on the river. Starting at Torrumbarry the 200hp expert class are on the water at 8am. Saintn, No Fear and Sky High look to be the teams on the finish podium. Junior Boys there will be Rush, 99 Psycho Clowns and Wild Turkey to lead the way. Junior Girls will see Revenge followed by Still Sparken, leading their class racing down the river. 70mph expert again is a hotly contested class. Any of them win could win from the field of 25. Sub Junior Boys and Mickey D, Robertson Racing and Coldy’s lead the field away. 60mph expert again another big class with over 40 competitors. The Superclass and Unlimited Inboard along some other classes, starting order will be decided on the finishing order of the Bakers Blitz and Presidents Dash the day before. Unlimited Outboard could possibly see two twin rigs fight it out in Cyclone Racing 2 and 2 Wild. 8 Litre expert and Ultra Trouble Maker, Kryptonite and Kamikaze fought for their position in the presidents dash the day before, who will be in front of who on Sunday – will be reviled on the weekend. MOC Expert and Evinrude Ace Racing, Twisted and Category 5 are the first away in this class. SMOC Expert and Sonic Boats will be at it, to take the record. Stock 6 Litre could see Pure Gold, The Sting 2 or Hallow Point on the podium at the end of the day. F2 expert and Thundernuts will be out to make it 2 years in a row. 5.2 Litre and 6 cylinder class will see the Kelly boys in More Mojo and they will be chasing the record set in 2003 by Summertime Blues of 40.08 minutes. Open Women and Revival leads this class with Prime Time and Out of Control not far behind. 16-19 Boys, Stinga towing current World Junior Boy champion Jack Houston along with Ben Hackett, and with Frantic will have gained their starting positions from the Presidents Dash. 16-19 Girls Tayla Wrights and Madison Boyer lead the field behind Strictly Business. At the conclusion of racing there will be presentations at Victoria Park area.